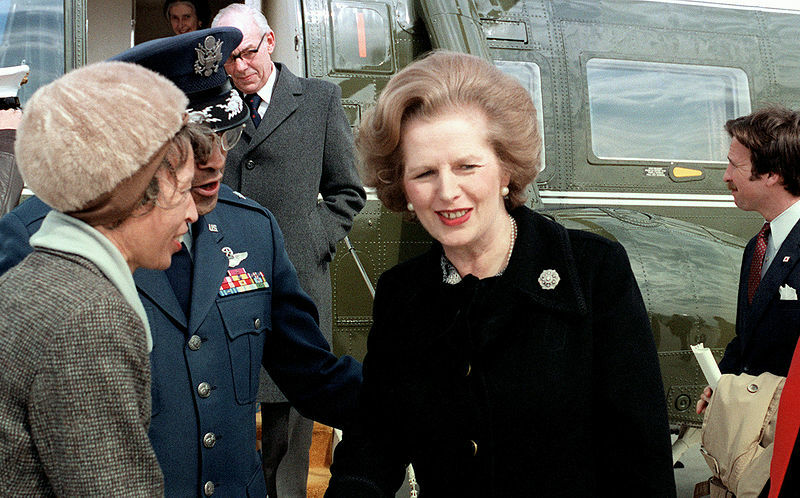 Margaret Thatcher did more than interrupt. She took over the whole conversation  in lots of different ways, both small and large. In writing the citation for Thatcher’s award, start with the hair. The British National Archives has just released the Thatcher appointments diary, and we now know that the PM had her hair styled 120 times in 1984 —an average of once every three days. During the London economic summit there was a hair-check on five consecutive days . Valéry Giscard d’Estaing , French President from 1974 to 1981, had all the habits of a noble (even if his grandfather had adopted a noble moniker rather than inheriting it). And so, Giscard, that noble Frenchman, would have looked up from his soup at Number 10 to see, full-length, the British victors at Trafalgar and Waterloo. Graeme Dobell is the ASPI journalism fellow. Image courtesy of US Military, via Wikimedia Commons .